Today most people realize the “regular” refined table salt as accustomed and natural, health-promoting salt. 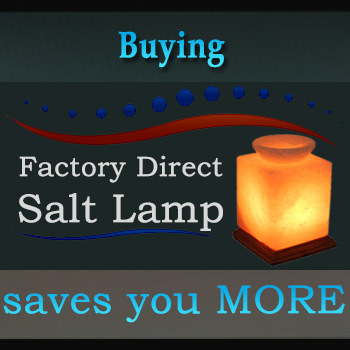 But there is a big difference between refined table salt and Himalayan crystal salt, and this difference can have a major impact on your health. The story of Himalayan Salt starts about 250 million years ago, what is nowadays the Himalayan mountain range was covered by a primordial ocean. As the water slowly receded the ocean floor started to rise, deep deposits of the original life source remained buried deep within the foothills of the Himalayan Mountains. 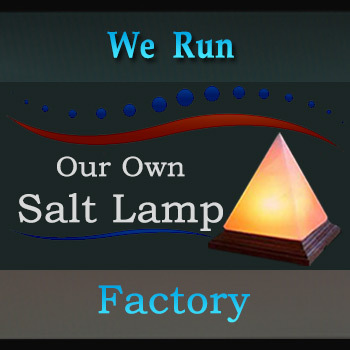 Himalayan Salt is 100% natural salt in its purest and highest quality form and contains the same minerals and trace elements of which the human body is composed. Regular table salt is actually 97.5% pure salt (sodium chloride) and 2.5% chemical additives such as iodine, fluoride, calcium carbonate, magnesium carbonate, aluminum hydroxide, saccharine and others. Dried at over 1,200 degrees Fahrenheit, the excessive heat alters the natural chemical structure of the salt. What remains after raw salt is “chemically cleaned” is pure sodium chloride, devoid of any life-sustaining minerals. One can say that this salt is bio-energetically “dead” because it does not project a specific energetic field around it. To keep this salt from sticking together and making lumps, chemicals are added. Then, to mask the bitter taste of these anti-caking agents, more chemicals are added. 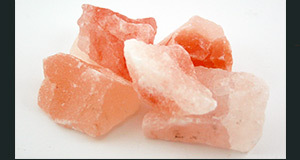 Himalayan crystal salt contains minerals such as magnesium, potassium, bromide, and calcium in colloidal particle sizes readily absorbable by the skin. The essential minerals have their own positive effects on the skin. More importantly, these minerals are not added artificially but by a natural process took place underneath the Himalayan foothills. Himalayan salt bath has gained popularity over the years due to its mineral constituents which are much more than any salt available in the market. Regular usage of Himalayan Bath salt makes you feel rejuvenated and relaxed, not only this but the combination of mineral-rich salt and warm water facilitates the blood flow in the small vessels below the skin so that toxins can be eliminated. Using Himalayan Bath Salt in a brine bath makes your skin looks better and feels better. Himalayan Bath Salt works as an excellent exfoliant and is widely used in spas for salt baths and salt scrubs, if used with fragrance oil promotes deep therapeutic relaxation in aromatherapy. By following these simple instructions you can make your bathing experience more joyful and healthier than ever.